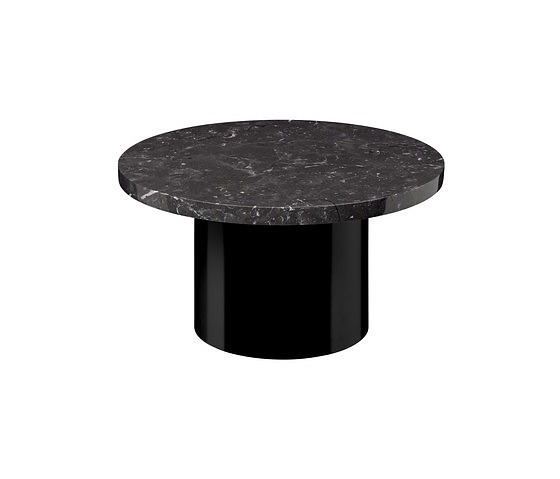 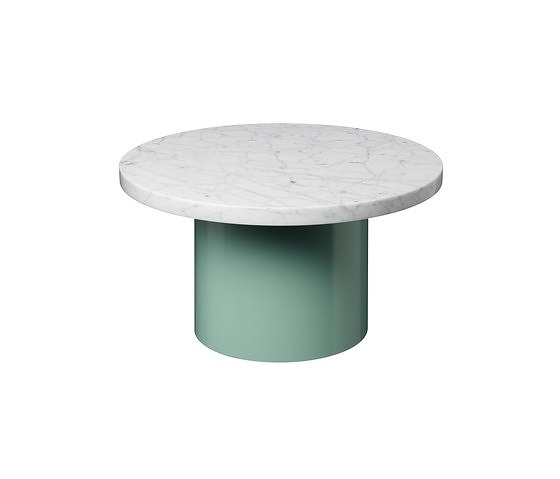 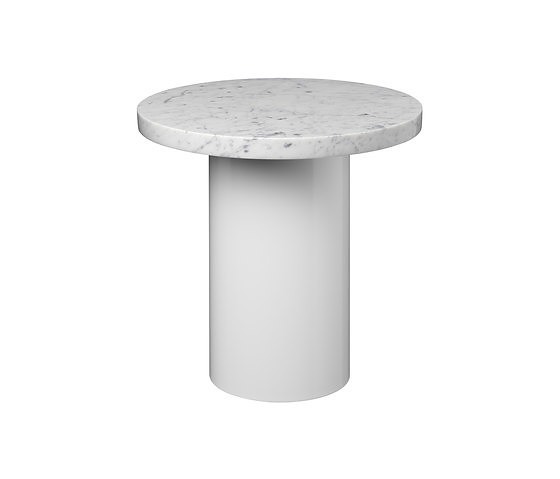 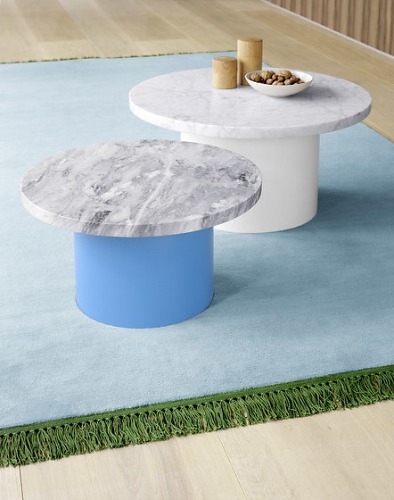 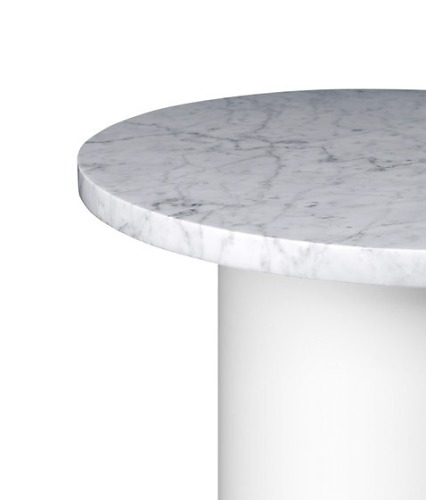 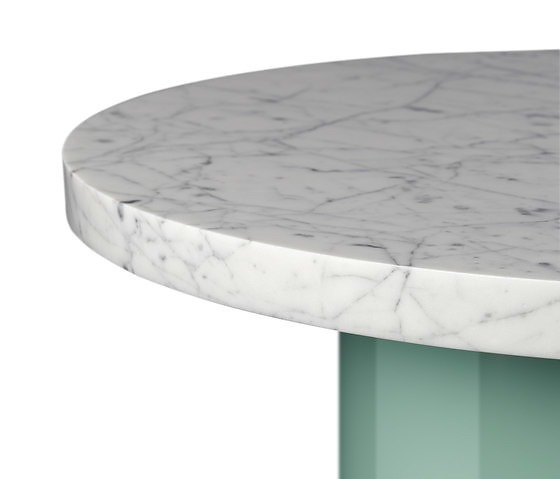 With the smart and playful side tables CT09 ENOKI, e15 introduces marble for the collection, applying it to novel form. 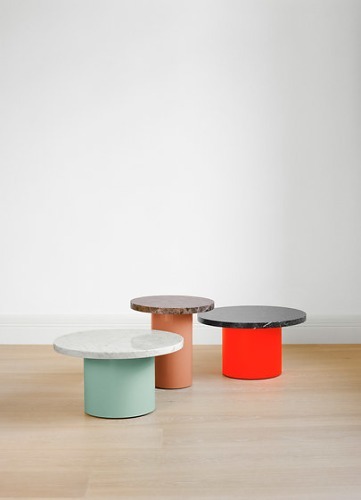 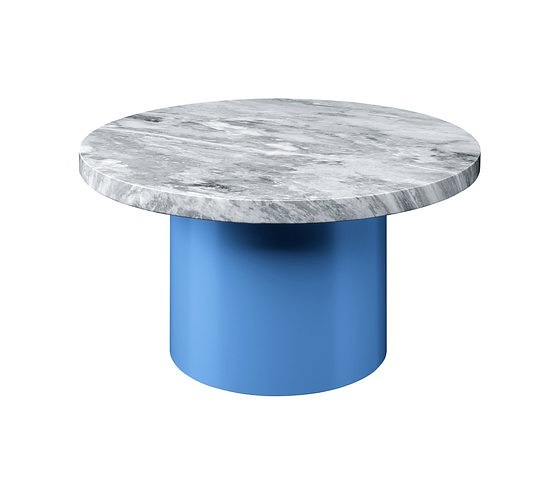 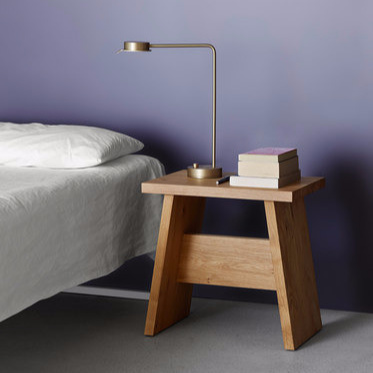 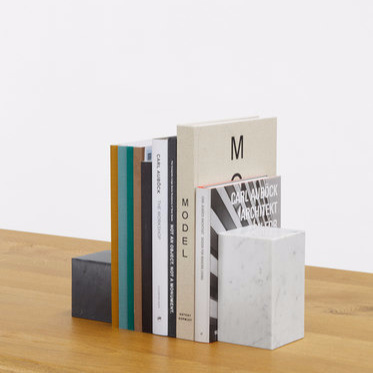 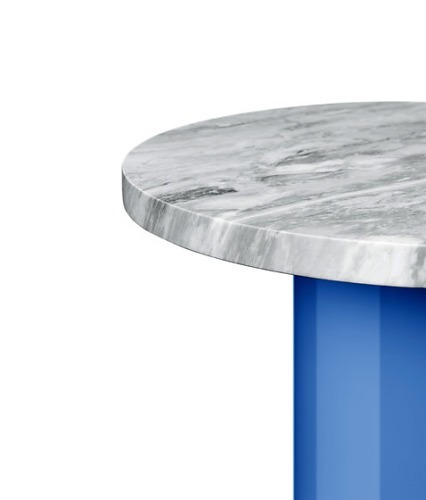 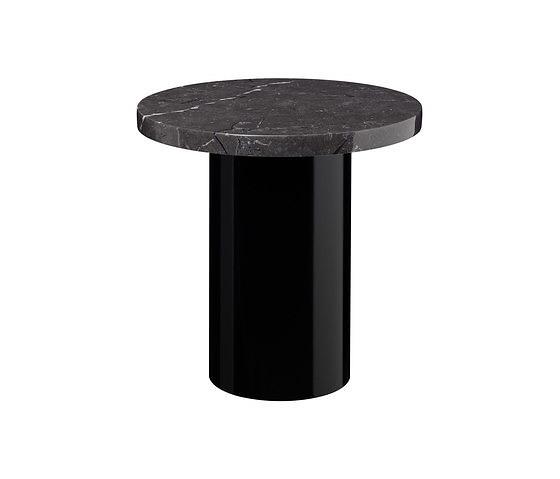 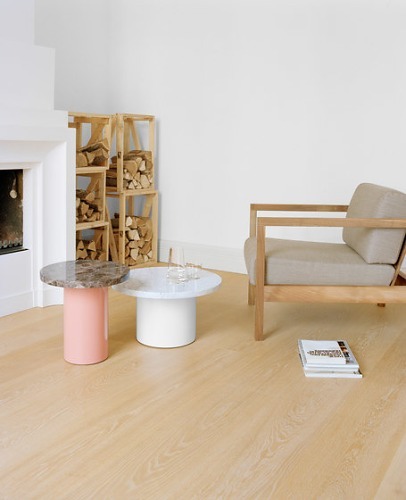 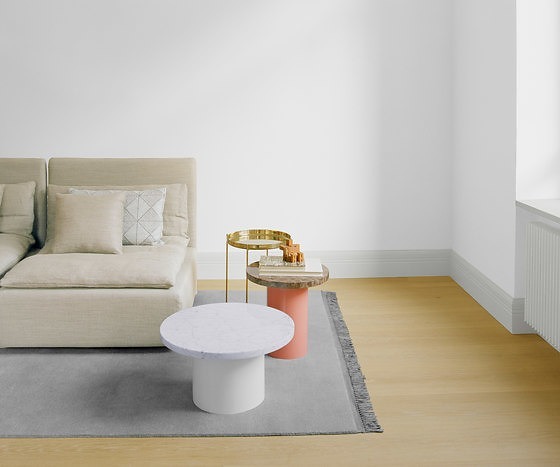 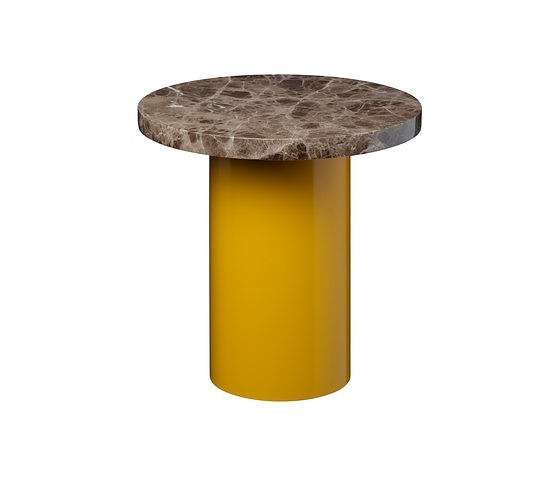 Cleverly toying with material, colour and dimensions, the versatile side tables are presented in combinations of rich marble or solid wood and coloured steel. 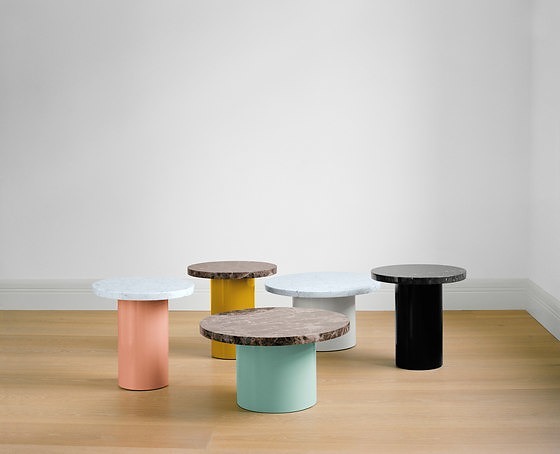 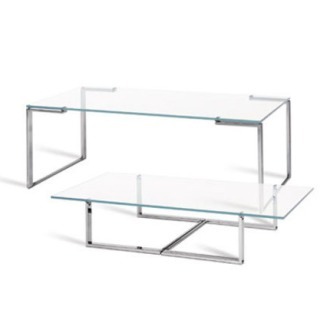 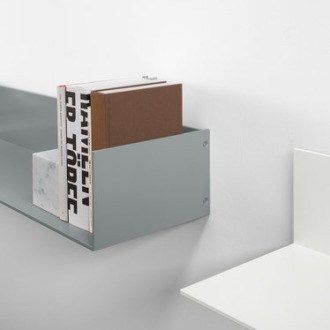 CT09 ENOKI are available in two different diameters and heights with a 30 mm thick top, which are combined with harmonising or contrasting coloured steel bases in subtle or unusual combinations. 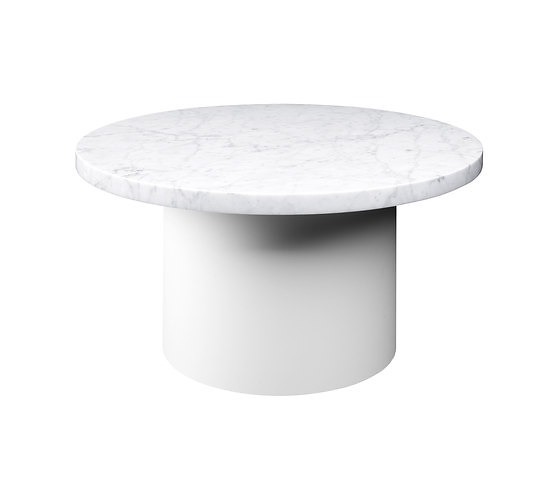 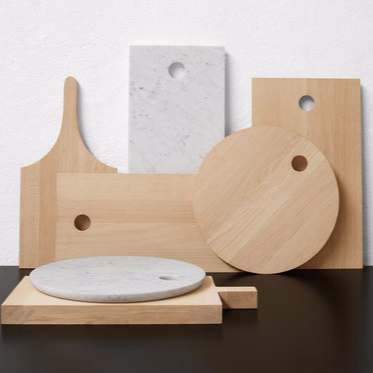 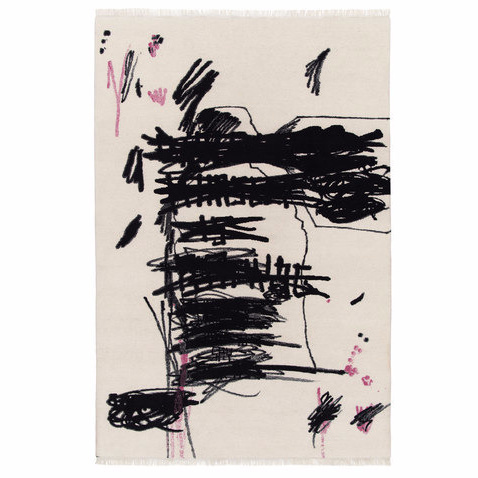 In addition to other interesting combina- tions, pure shades of all white or black for the entire table are also offered. 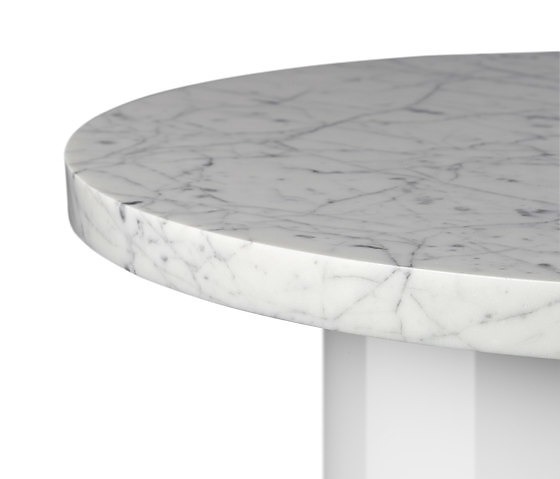 The marble is equipped with a matt oiled finish, which is protective, yet requires maintenance. 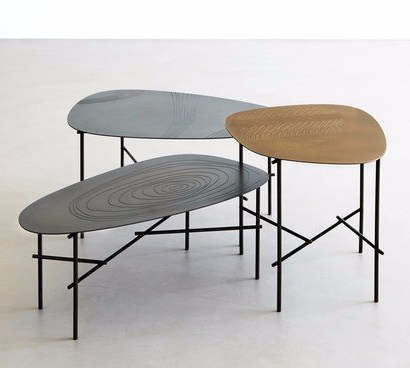 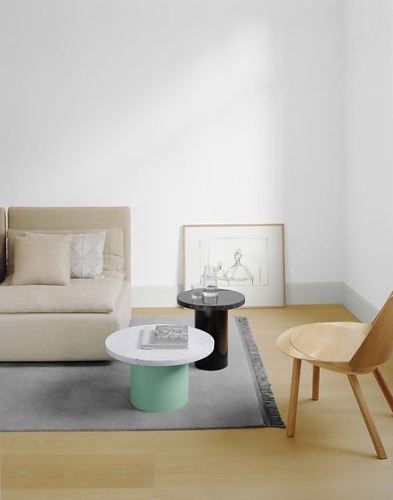 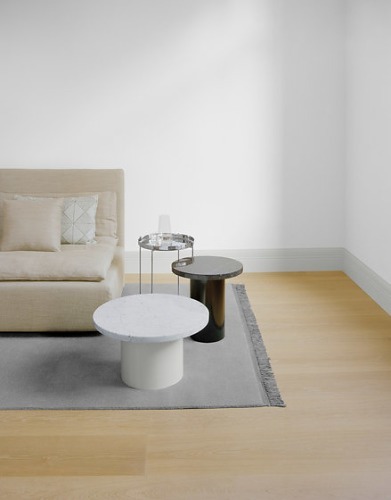 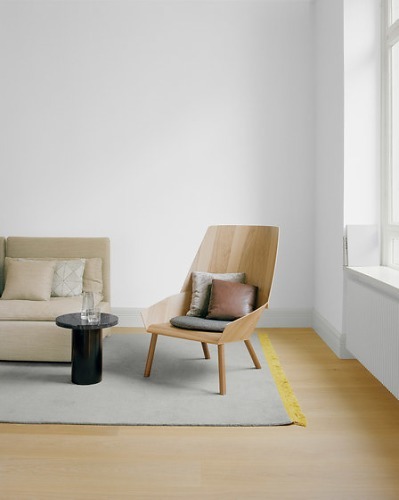 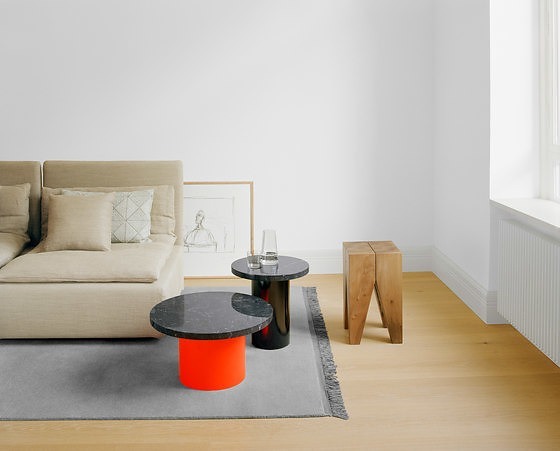 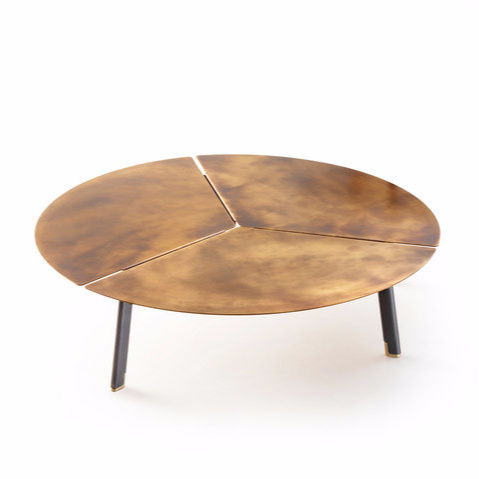 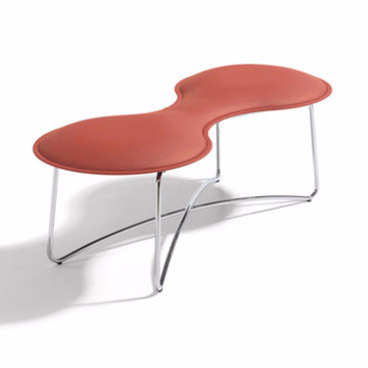 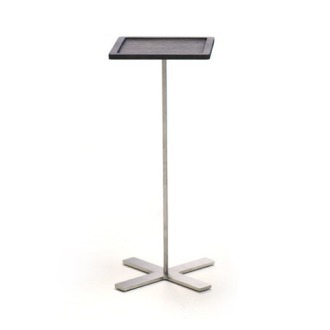 To avoid scratching of the floor, the side tables are fitted with a felt ring and are delivered in two pieces. 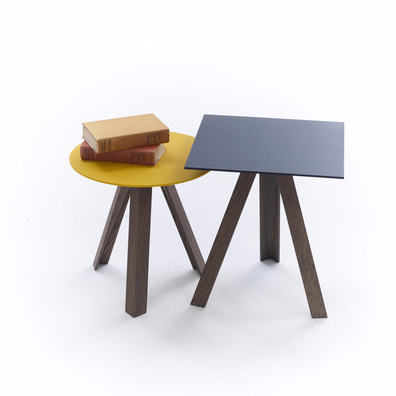 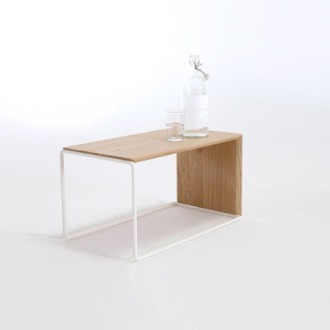 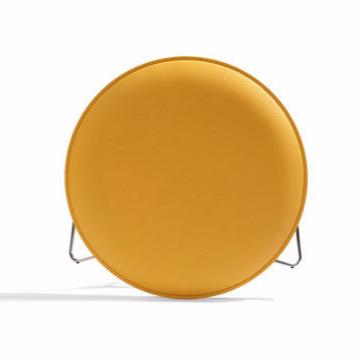 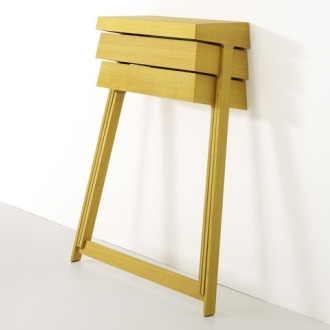 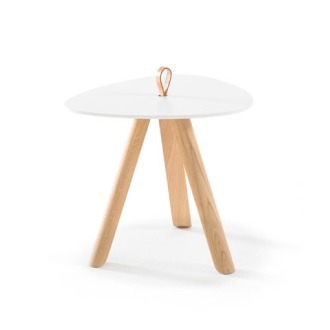 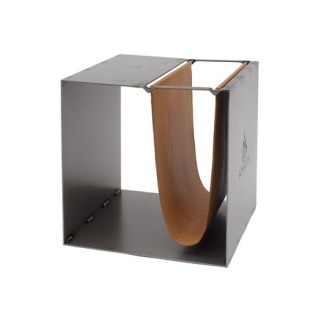 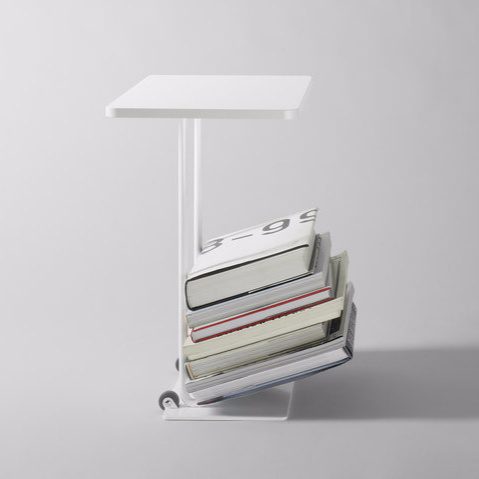 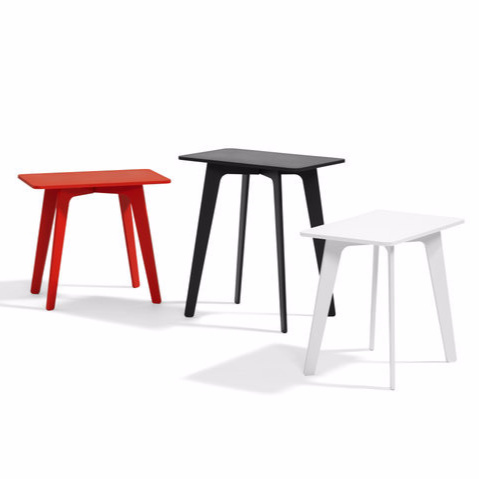 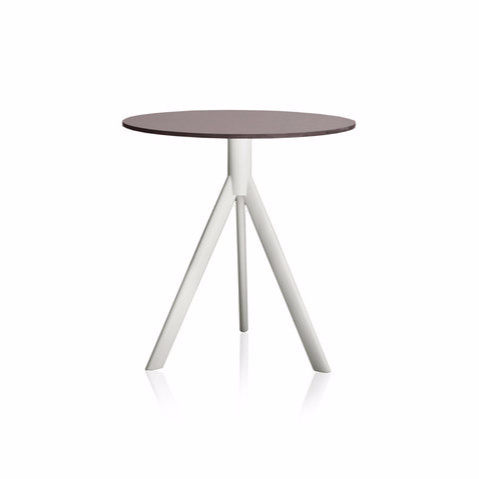 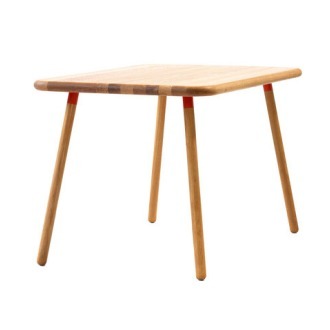 E15 presents the smart and playful side tables CT09 ENOKI in a larger dimension. 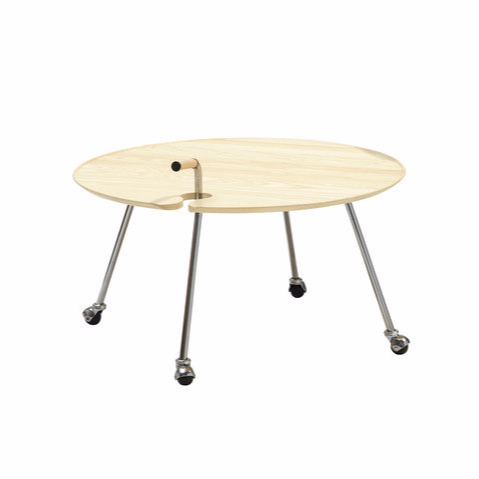 The popular CT09 ENOKI is now also available in a diameter of 700 mm and height of 350 mm. 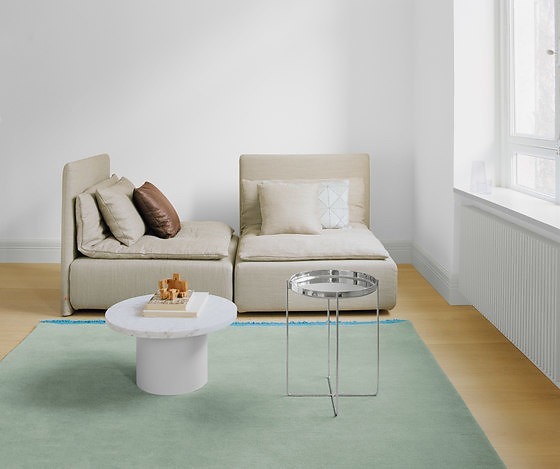 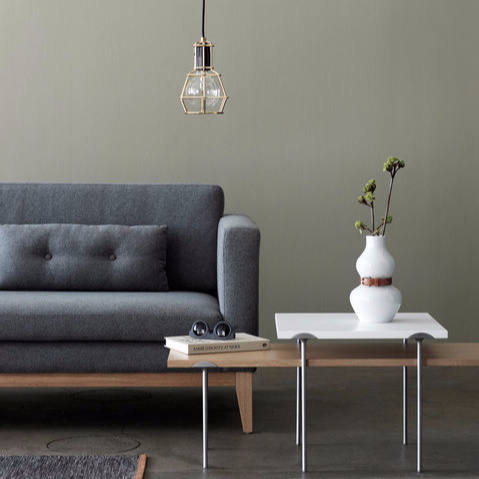 In the new dimension, e15 presents the side table CT09 ENOKI as a compact coffee table, which ideally complements the sofas and other products by e15. 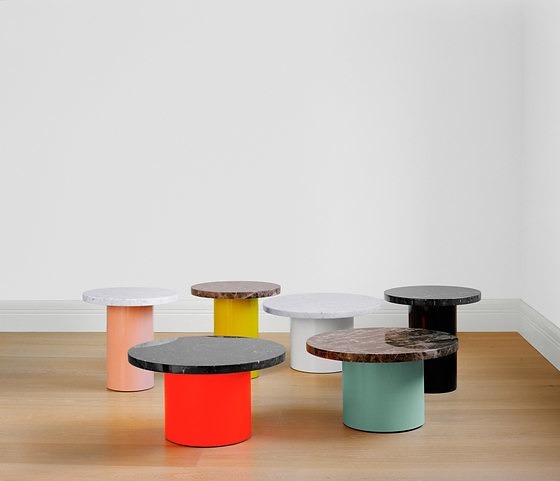 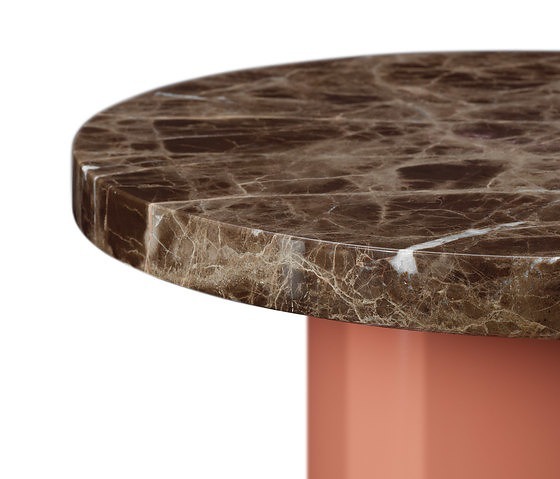 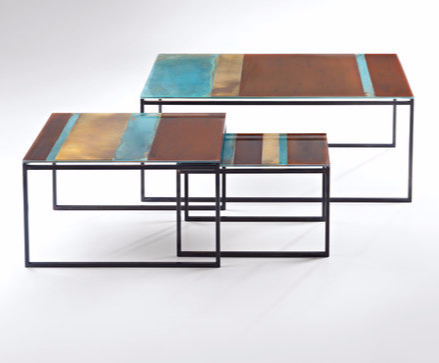 Cleverly toying with material, colour and dimensi- ons, the versatile side tables are presented in combina- tions of rich marble or solid wood and coloured steel. 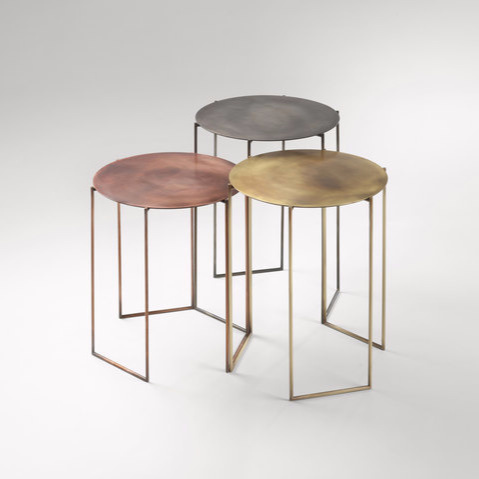 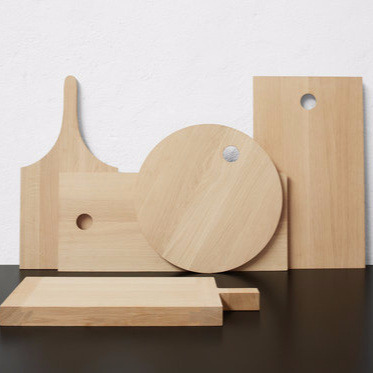 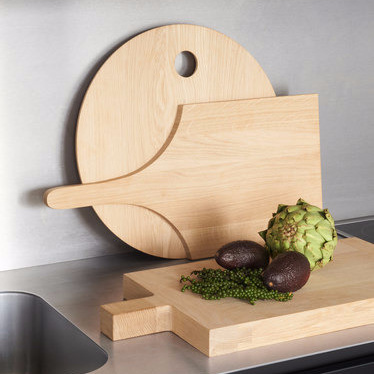 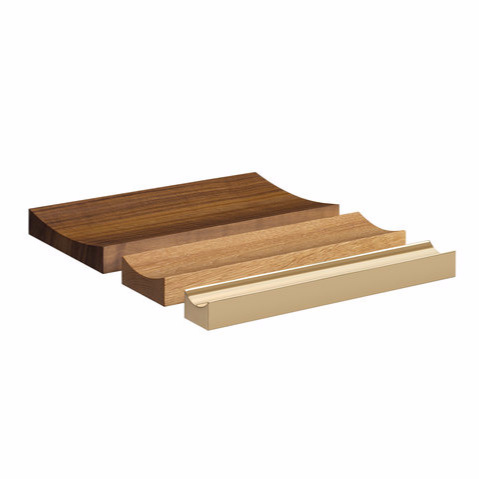 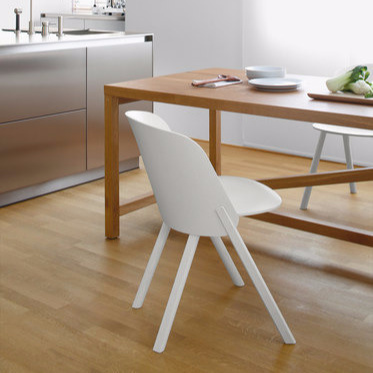 CT09 ENOKI are available in three different diameters and heights with a 30 mm thick top, which are combined with harmonising or contrasting coloured steel bases in subtle or unusual combinations.